Heard about your products through a friend, thought I’d give it a try. It started out as a Sunday project turned into a 3 Day project, but I thought it was well worth it. Here are the colors that I used I use forest green kandy, apple green kandy, forest green kandy, yellow metallic kandy for highlights and root beer and green shifter pigment for highlights. We at Paint With Pearl appreciate all of our kustomers who take the time to send us pictures and feedback on all of our products. Our Kolor Pearls, Metal Flakes, True Chameleon pigments, Thermochromics, Glow In The Darks and all other paint pigments are truly kustom paints and can be used in almost any application. There are so many options with our products! Photos, Videos and testimonials are a great way to show off the capabilities of our additives. If you find the opportunity, send us some great pics and a small testimonial about what you did with our products and we will send you a gift card for the website. Flame paint jobs like these are also nice to have pictures of. We love to show off the work that our wonderful kustomers are doing. Contact us and send us your work! 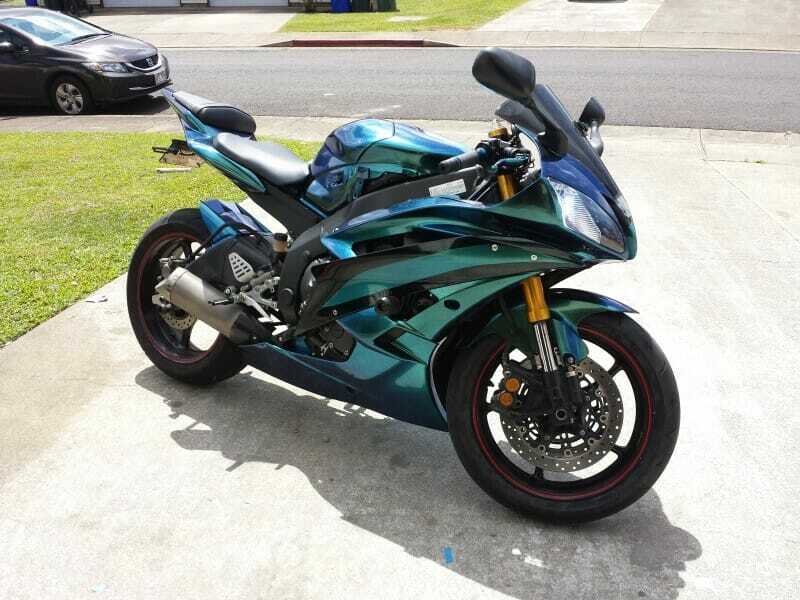 This really cool motorcycle is painted in our 4779BG Blue Green Purple Superflash Kolorshift Pearls . This is one of our most popular true chameleon colors.